This poem was posted by Leta Kenei Aga cheering the release from Prison of OFC leader Mr. Bekele Garbaa. Then what is your crime? 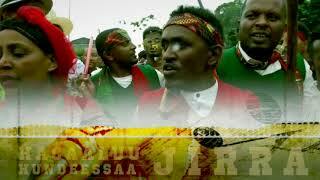 In the land where oromummaa (being an Oromo) is a crime!